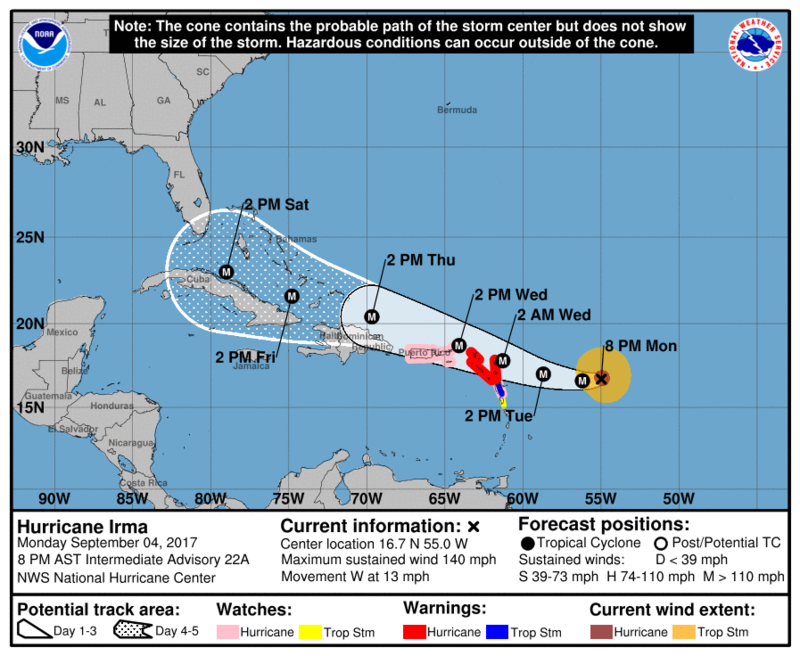 According to the National Hurricane Center’s 5 p.m. advisory Monday, Irma grew to 130 mph sustained winds as it chugged at 13 mph through the Caribbean. Irma’s projected to turn west-northwest by the end of the day Tuesday, moving on an overall track that increased the possibility that South Florida will feel its effects, if not take a direct hit. 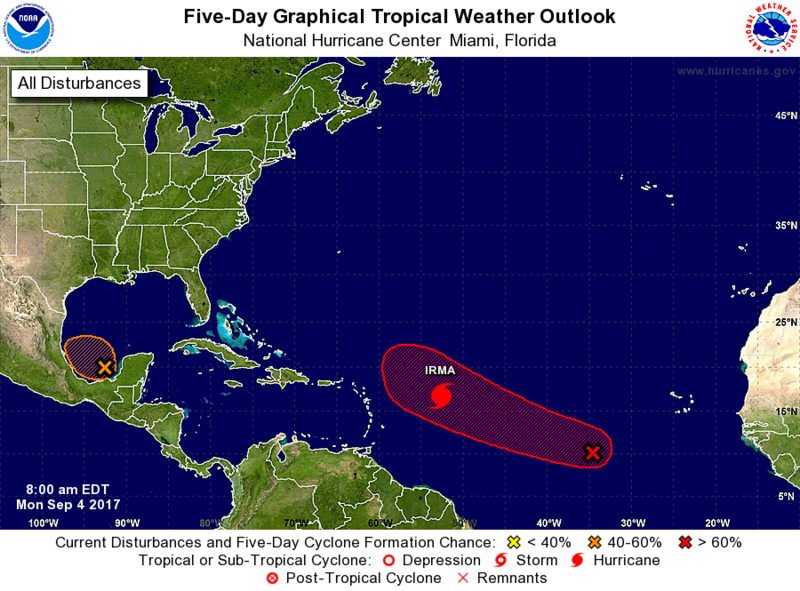 It’s also supposed to strengthen over the next two days. At its current sustained wind speeds, Irma would be the biggest hurricane to hit South Florida since Category 5 Hurricane Andrew in 1992. “Today, given these forecasts and the intensity of this storm, I have declared a state of emergency for every county in Florida to make certain that state, federal and local governments are able to work together and make sure resources are dispersed to local communities as we get prepared for this storm,” read Scott's statement on the flgov.com website. “In Florida, we always prepare for the worst and hope for the best and, while the exact path of Irma is not absolutely known at this time, we cannot afford to not be prepared. This state of emergency allows our emergency management officials to act swiftly in the best interest of Floridians without the burden of bureaucracy or red tape."